We Offer Pressure Washing, With or Without Steam. 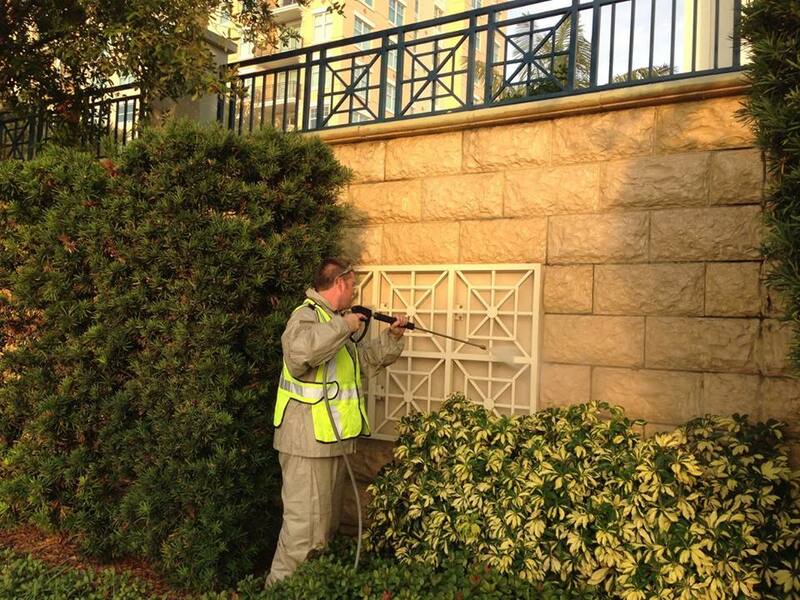 At Your Service Cleaning Group is a professional exterior pressure washing cleaning company. 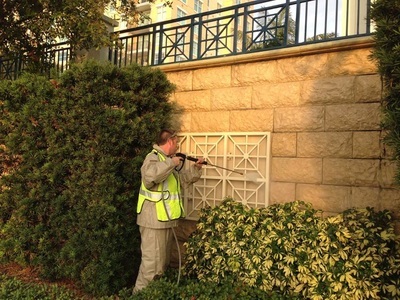 We have the training and skill to properly clean and protect your property. No job is too big or small for us. 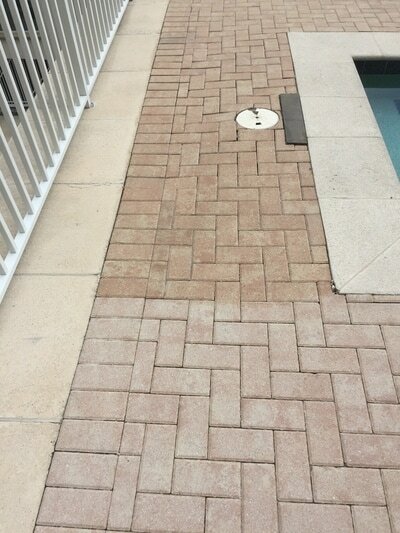 We service both residential and commercial. 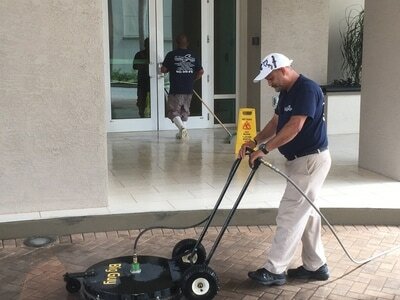 100% Satisfaction Guarantee, Hot water washing cleans and sanitizes, fully licensed and insured, Professional and courteous, environmentally safe products available, locally owned, state of the art equipment. 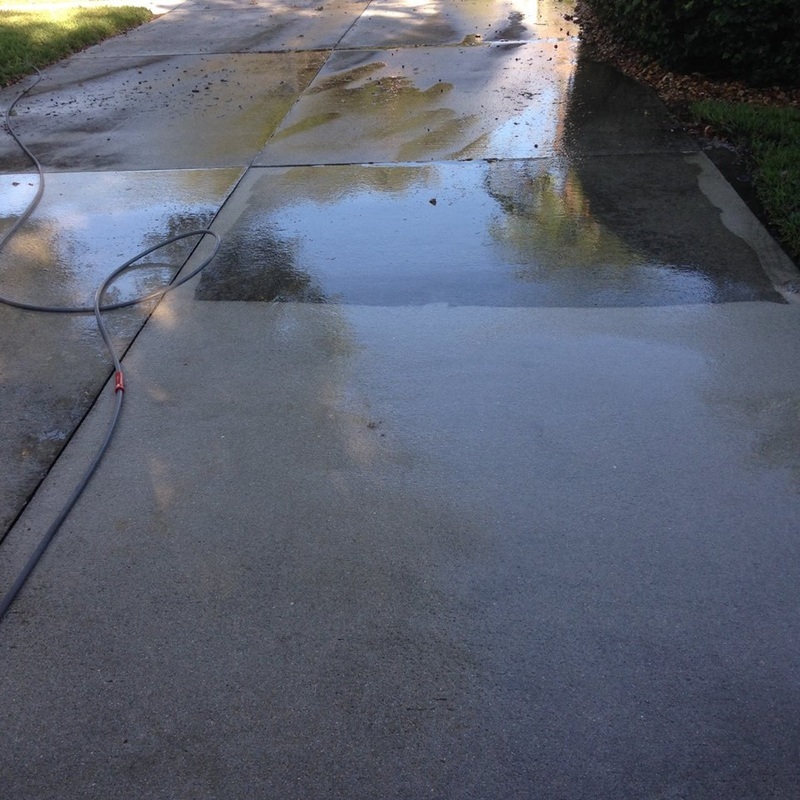 AYS Cleaning Group, Inc. offers the best solution to fit you pressure washing needs. Our system offers the option for hot water cleaning. 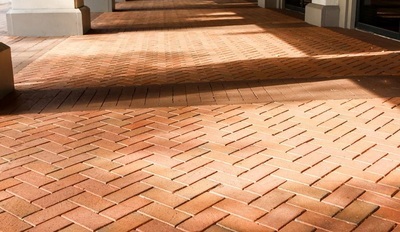 Heat is an important factor in the cleaning process. Heat accelerates chemical processes; with every 50°F increase in temperature doubles the reaction speed. A 68°F rise in temperature greatly increases the reaction speed. Oil, grease and soot are dislodged by the heat and easier to remove. The emulsion of oil and grease in water is accelerated. And heated surfaces dry faster. In practice, this means that higher water temperatures can reduce cleaning times by up to 35% – with significantly better results. By reducing the water quantity, a steam temperature as high as 311°F can also be achieved. 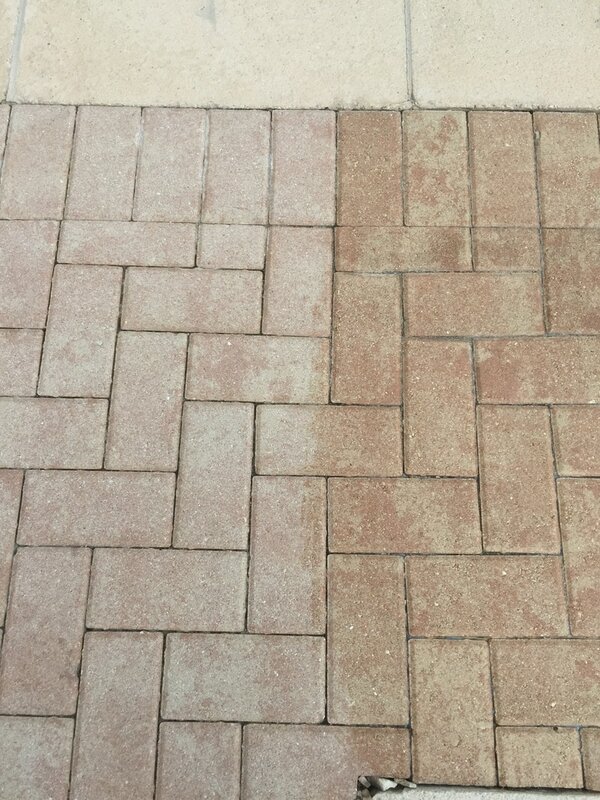 With the combination of mineral-free steam and pressure, even the most stubborn dirt can be loosened. This ensures high cleaning performance, even without chemical additives. The steam stage is perfect for removing bitumen coatings, paint coatings in general, soot deposits, lichens and algae. Grease, oil, resin etc. can usually be removed with just hot water, so significantly less detergent can be used or detergent can be omitted entirely. In addition to cost savings, this protects the environment and conserves resources. Surfaces cleaned with hot water dry faster thanks to the heat and are thus ready for subsequent processing or further use faster. A significant reduction in germs can be demonstrated after cleaning with hot water. For many hygiene requirements, this effective germ reduction without disinfectant is fully sufficient.